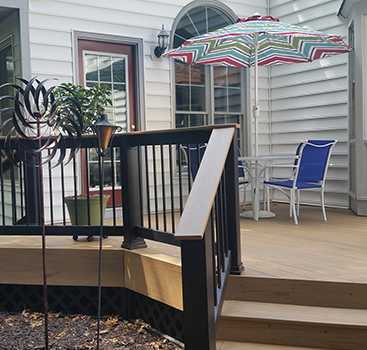 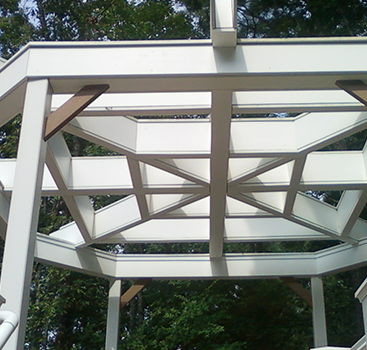 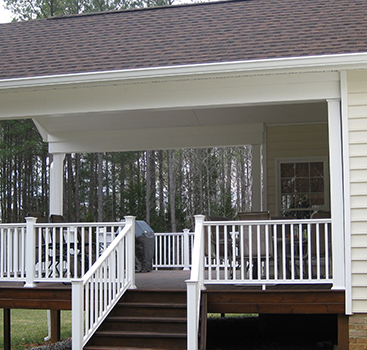 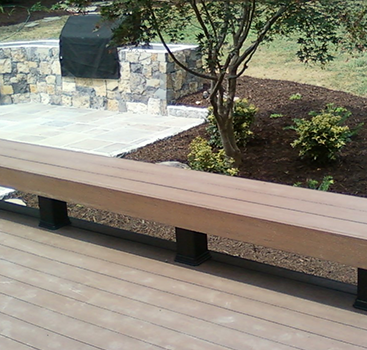 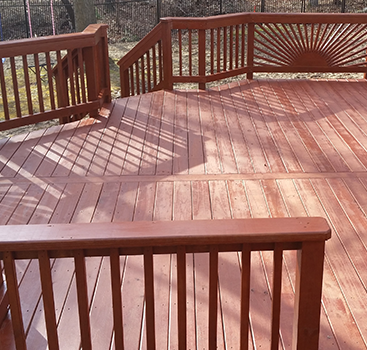 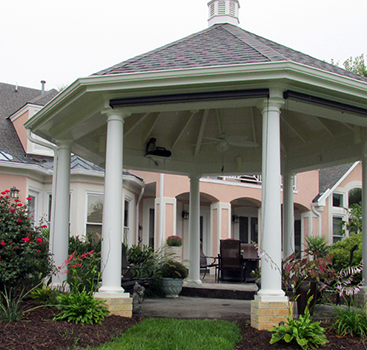 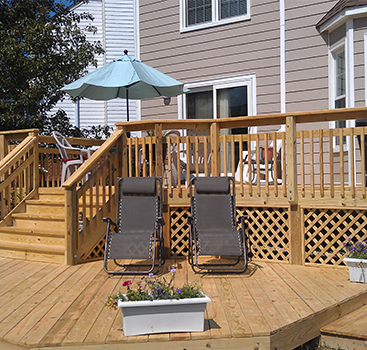 Shed roof porch on an existing deck in The Highlands in Chesterfield County. 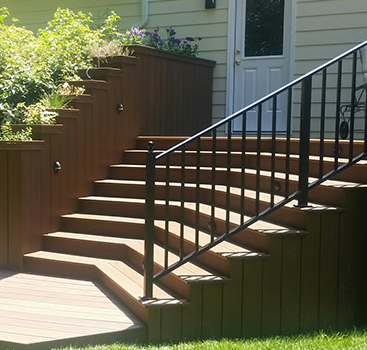 Composite landing and steps leading to a paver patio. 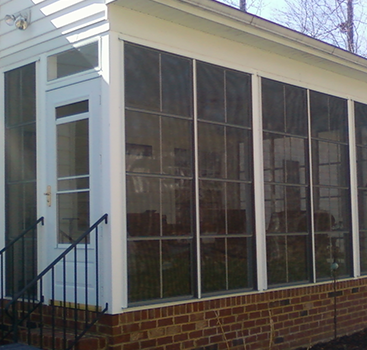 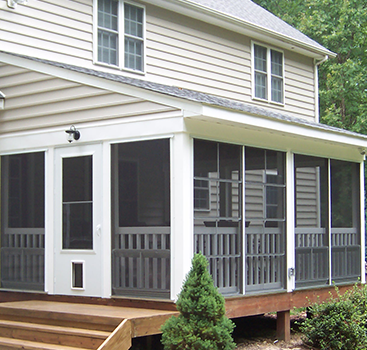 The porch has Custom Window WeatherLite vinyl pane porch windows to keep the porch, clean, dry, and pollen free.